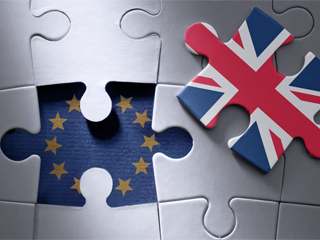 Regarding the ‘divorce bill’ or ‘Brexit bill’, the manifesto’s echoes the language of May’s March 29 letter that triggered Article 50: a settlement will be reached ‘in accordance with the law and in the spirit of the UK’s continuing partnership with the EU’. Much work is left for UK chief Brexit negotiator David Davis, who introduced Theresa May on stage at the manifesto launch in Halifax. He has to trash out the specific details with EU chief Brexit negotiator Michel Barnier. The manifesto is clearly founded on the concept that leaving the EU means a golden opportunity to reshape Britain for the better. It will not become a reluctant Brexit, for the Conservatives it is a necessary one, to remake Britain. For instance, coastal towns will win back their historic fishing rights and deprived towns and cities outside London and the South East will get funds clawed back from Brussels. Mrs. May said, ‘The next five years are the most challenging that Britain has faced in my life time. 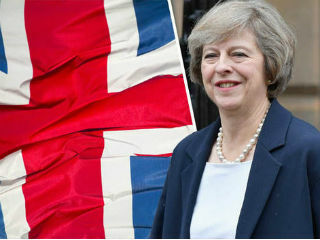 Brexit will define us: our place in the world, our economic security and our future prosperity.’ She repeated previous pledges to withdraw from the Single Market and EU Customs Union, to end ‘vast annual contributions’ to the EU budget but reserved the possibility of participating in ‘specific European programmes’. PM May also renewed the Conservative commitment to reduce net migration to ‘sustainable levels’. ‘When immigration is too fast and too high, it’s difficult to build a cohesive society’, she said. But separate references to EU and non-EU migration give her an option of offering some form of preferential access to the UK labour market for citizens of the EU-27 countries; presumably as an incentive for the EU to grant other UK demands. During the presentation of the Conservative manifesto, Theresa May seemed to be prepared for the risk of failing: ‘We continue to believe that no deal is better than a bad deal for the UK’!